Get Free Remote Desktop Now! It's not a stretch to say that remote desktop is one of the best technological advances that has ever happened in desktop computer technology. Time and time again, it is found that this technology has allowed almost all types of industries maximize their efficiency and productivity. However, if you still don't know anything about remote desktop, then you're just at the right place at the right time. Today's article will show you what this technology is all about and why you need to add free remote desktop to your organization. Remote desktop is a technology that allows users to connect to a computer from a faraway location to accomplish a wide range of tasks. With the help of the Internet, the user who is trying to remote to the device can perform several things such as troubleshoot overhaul and app management. With remote desktop, all these things can be accomplished without needing the physical presence of the user. Remote desktop is usually used in the IT industry as it helps IT technicians make their work more productive and efficient. 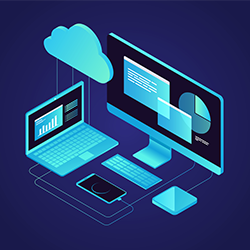 However, as more people start to experience the benefits remote desktop provides, more and more businesses are starting to add this technology to their organizations, too. What are the Advantages of Free Remote Desktop? 1. Work from home - Gone are the days when you need to be in front of your office PC to accomplish a given task. With free remote desktop, you'll be able to have greater work flexibility by working not just inside your home but anywhere you want to. This enables you to juggle work and other activities outside the office while still being productive and efficient. 2. Accessibility - Since free remote desktop allows you to work anywhere at any time, you can be sure that the service you provide or the resources you need are still accessible and available no matter the situation is. It doesn't matter if you're in a middle of a traffic jam or inside a hotel room from a quick vacation trip, as long as you have an efficient remote desktop connection manager, you can still be efficient, and meet business requirements. 3. Cost-effective - Getting free remote desktop is relatively cheaper than maintaining a full-time office. Instead of investing in office essentials such as chairs, tables, computers, and the like, you can just save those financial spendings for more important uses. Also, remote desktop can be an advantageous tool for IT help pros who serve a myriad of clients around the world. Instead of spending on travel expenses just so a tech support guy can go to his client's location, he can just perform any troubleshoot overhaul from his own space. Not only does it save him money, but it also makes the work faster and more productive. What to Look for in Free Remote Desktop? Since remote desktop is becoming more and more relevant these days, a bunch of free remote desktop software can now be acquired online. With so many promises and claims most remote desktop service providers make, finding the best free remote desktop technology for your organization can be quite tricky and confusing. That's why it's important to keep a wise head when choosing the best free remote desktop system that works best for your business. Security should always be the number one priority when choosing a free remote desktop software. Since remote intervention is needed, exposing one's device to a bunch of external threats can be unavoidable at times using remote desktop. Prioritizing security can be the first step to addressing any cybersecurity issues your company might face. It's important for free remote desktop software to offer strong video encryption by default and effective permission-based access. This will ensure that no sensitive information is spilled through unwanted third-party recordings and eavesdropping. You want your free remote desktop software to be accessible at all times. Having a prompt connection to your client's device will give way for a more productive work culture. You can easily provide immediate and quick solutions to any issues your client is experiencing, making your work more efficient, and productive. As much as possible, your free remote desktop software should use standard technologies and protocols so no additional software or hardware reconfiguration is needed. This will provide you with fast connectivity without any hassle, and interruptions. You also don't want your free remote support system to be complicated to use, especially if it's your organization's first time acquiring such technology. Find one that is easy to use and deploy, one that has a clear and straightforward set of instructions, and rules. By investing in the right technology, you can maximize your organization's productivity and efficiency. That's why adding free remote desktop to your organization is something we highly recommend. Reap the benefits of free remote desktop now and see your business grow from here! Does Awareness about Remote desktop is helpful?